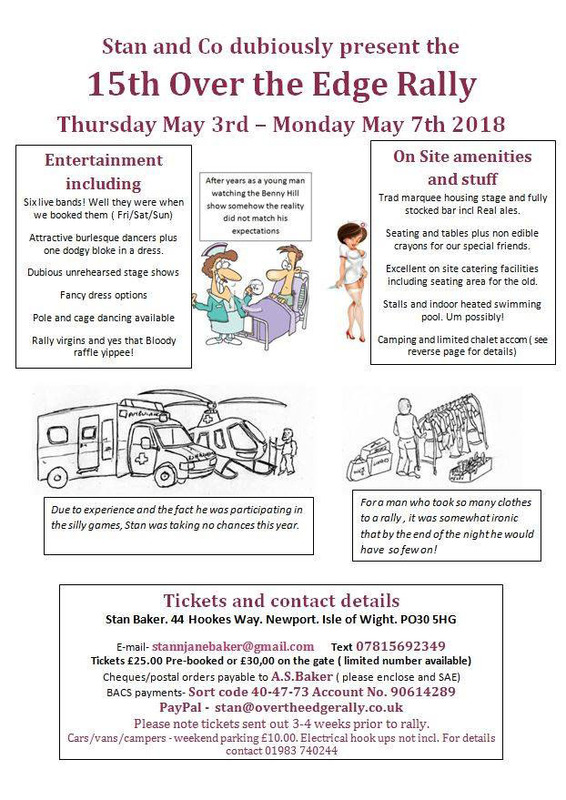 Stan and Co are back for another epic weekend of entertainment; the annual event has become a big hit on the Isle of Wight with live bands, fancy dress and rallies. If you’re planning on making a big weekend of it then there’s options to camp as well with full facilities on site. Pre-book your tickets now for just £25! 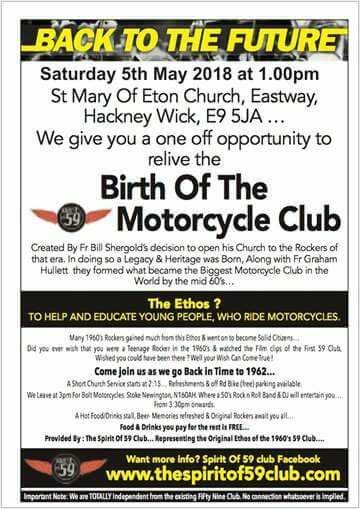 Everyone is invited to relive the Birth Of The Motorcycle Club this month. Everyone’s heading back to 1962 to the birth of The 59 club, one of the biggest motorcycling clubs to date. The day will be filled with entertainment including DJ and more. Are you ready for another thrilling MotoGP round? This time the riders head to Spain for round 4. You can watch all the action live right here. Head up to Scarborough for another great weekend full of entertainment at Oliver’s Mount. The Festival of Speed is back promising a two whole days of bikes, cars, sidecars and more showing you what they’re really made of. We’ve already reached round 3 of the British Superbike Championship and it’s been nothing but a thriller since the start. Head down to Oulton Park for the bank holiday weekend and enjoy some brilliant track racing by some of the finest racers to date. 2018 British Superbike Championship, BSB Round 01 Donington Park, Derby, UK. 1st April 2018. 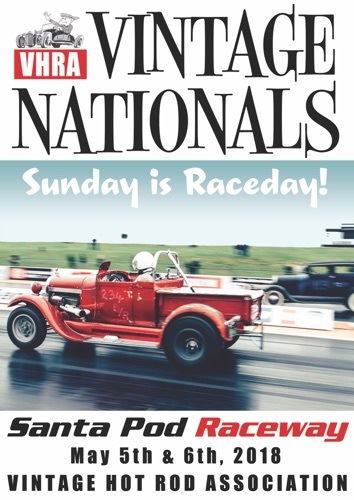 The Vintage Hot Road Association head to Santa Pod Raceway this May for the Vintage Nationals. Racing is only limited to VHRA members, but spectating is available for all. You won’t want to miss out on any of the action with over 500 of the best hot rods and customs on show. The fun doesn’t stop there, Saturday evening is packed full of entertainment at the Fuelers bar. Kicking off with the Doel Brothers live on stage followed by Little Carl on the decks. You can pre-book your spectator tickets now! For 40 years bikers have been invading Hastings on May Day, and this year will be no different. Over 70 traders and exhibitors will be in the town centre with plenty of things for you and the family to do! There’s no official starting point for the ride in, but there are a number of meeting points including Ace Cafe in North London and Ryka’s Cafe in Box Hill if you want to start there. It doesn’t matter what you ride, just have fun! The show is free to attend so don’t miss out! Find out more information right here. 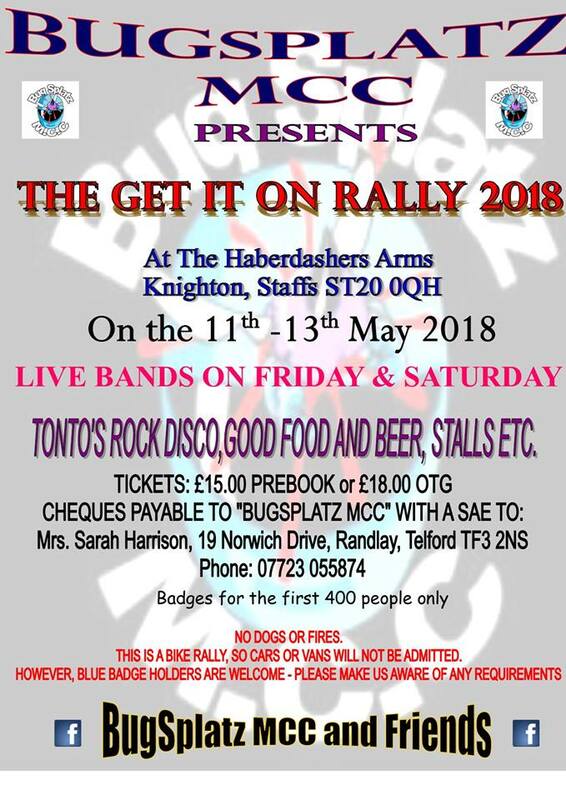 The Get It On Rally is back for 2018, and it’s planned to be a weekend of bike, booze and music – what more could you want? First 400 people to purchase tickets will get the badge for the event. Please note that this a bike only rally, cards and vans will not be admitted unless you are a blue badger holder. Tickets are on sale now for just £15, or you can buy them on the gate for £18. The National Association for Bikers with a Disability invite you to the weekend national rally weekend this May! 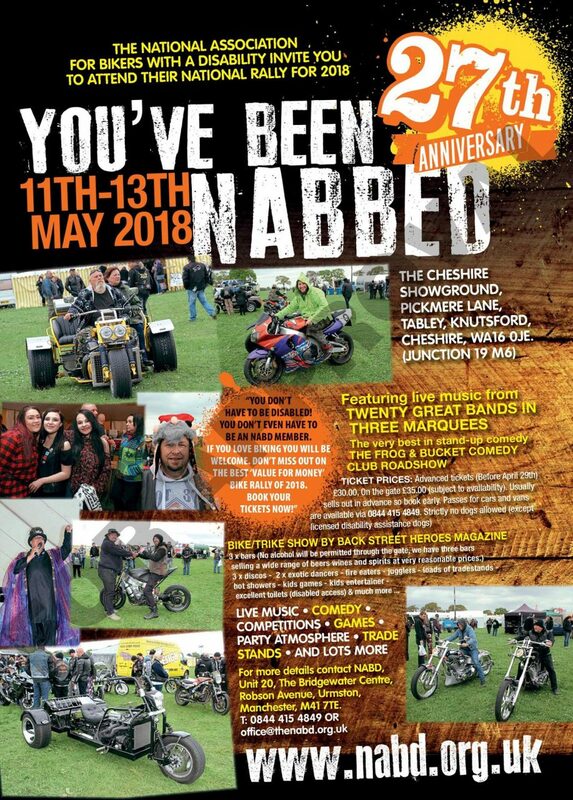 You’ve Been Nabbed celebrates its 28th birthday this year, with all the fun kicking off at The Cheshire Showground. You don’t need to be a member or be disabled to join the rally, all are welcome! 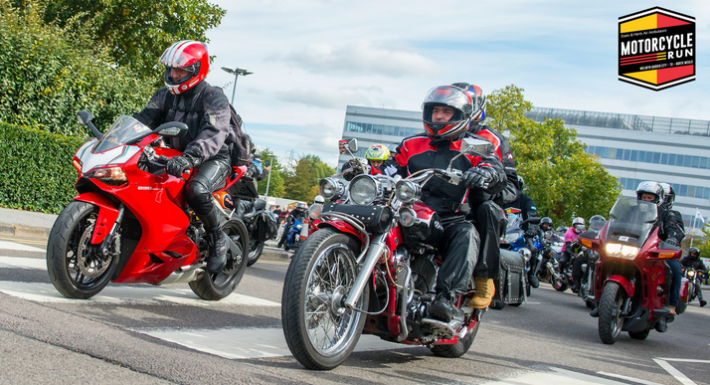 There’s plenty of live music, comedy sets, competition and trade stands to fill your weekend, along with the bike/trike show by Back Street Heroes magazine. Tickets cost just £30 (pre ordered). 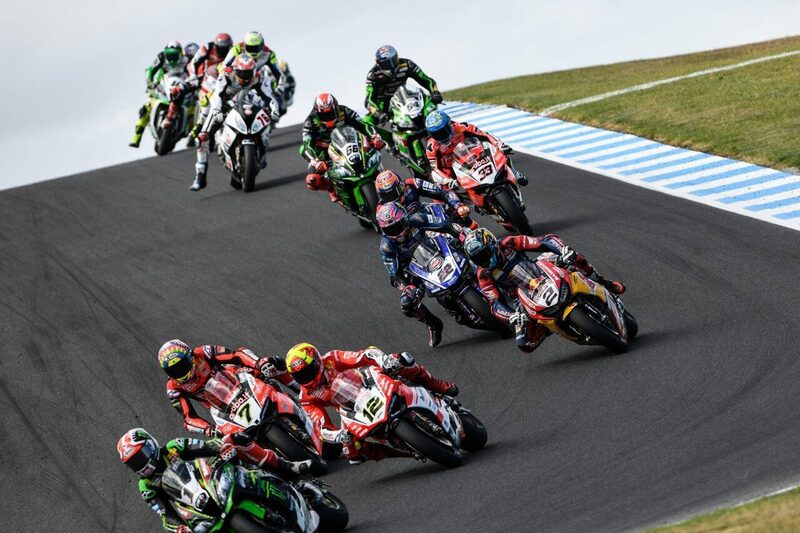 The World Superbike teams head to Italy this month for the fifth round of the championship. Returning for another year, the Despatch Rally guarantees you a day of biking that you won’t forget! If you enjoy pushing yourself to the limits with learning new skills including shooting, motorcycle control and off-roading then you should check out the Despatch Rally. The one day event promises great run with you winning points in each field with prizes up for grabs at the end. It costs just £30, so why don’t you enrol now! REGISTRATION IS NOW FULL FOR THIS EVENT! 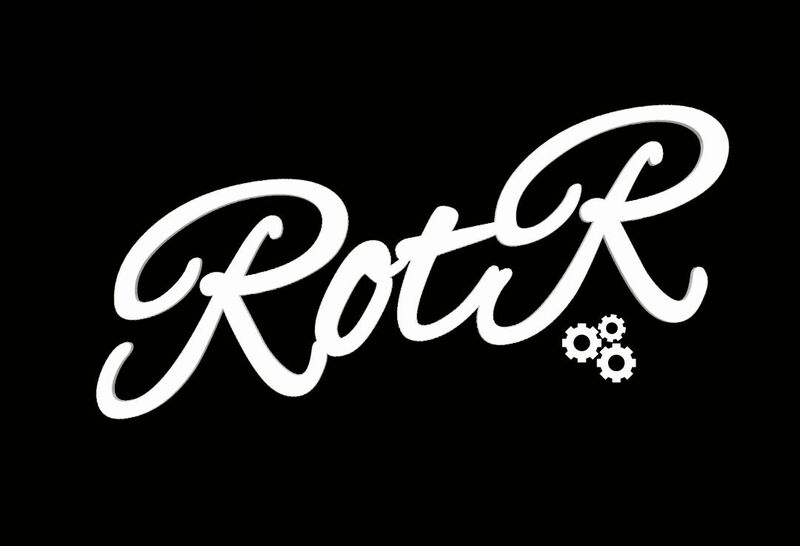 Ride of the Ruperts is a ‘pay and ride’ charity motorcycling event for the Movember Foundation, open to all bikes, trikes and scooters. It doesn’t matter what you ride – just that you ride! This is a fun ride, where riders and pillions are encouraged to dress dapper. Think tweed, posh frocks, pipes and monocles and you’re on the right track. Participants are expected to throw caution to the wind and join in the fun as we show off our steeds to passers-by. On Sunday 18th March there’s the Revelry of the Ruperts. A party with a dapper dress code, live jazz bands, dancing, licensed bar, restaurant and luxury raffle! It’s not just about the ride – this will be an awesome event to attend for riders, pillions and supporters of the ride! 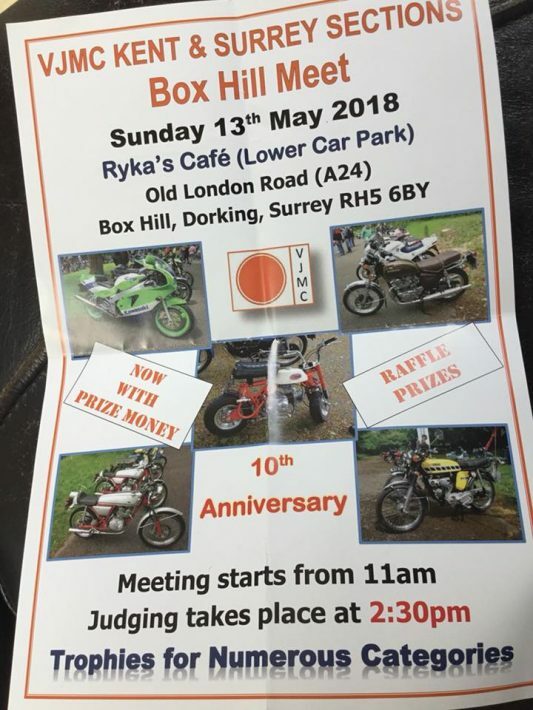 Head down to Ryka’s Cafe in Surrey this Sunday for a great display of some classic motorcycles. The VJMC Kent and Surrey Sections are celebrating their 10th anniversary, the day kicks off at 11am with judging taking place at 2.30pm. There are numerous trophies for different categories and prize money to be won! You’re promised a great day out! It’s time to get out on your bike and raise some vital funds for charity. The Ride Out For Life 2018 is inviting all bikers, whatever you ride, to join them in raising money for Cancer Research UK. It costs just £2 to join in the fun (all monies raised going to the charity) along with hot drinks and food, pin badges for sale and raffles and DJ! Find out more information now. inSpire is a brand new event launched this year aimed at all motorcyclists; the main reasons behind this event is to commemorate all the fallen members of our RAF Armed Forces who were lost from the ranks of Bomber Command during WWII, bringing all bikers from different walks of life together for one reason. Find out more about this event now. The road racing seasons continues in Northern Ireland this month for the North West 200. One of the biggest events on the racing calendar. 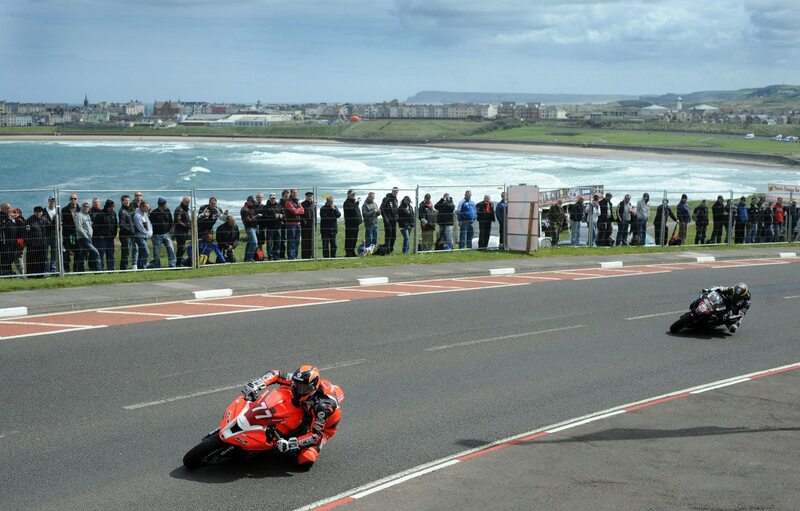 North West 200 is the warm up races ahead of the Isle of Man TT at the end of this month. We’re promised to see the return of some of the biggest names on the scene right now including Michael Dunlop, Ivan Lintin and Dean Harrison. This week of racing will predict what the 2018 road racing scene is really all about! 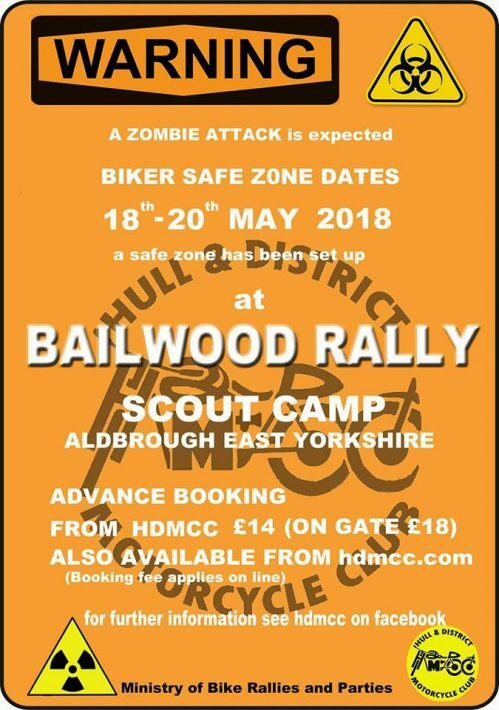 Hull and District Motorcycle Club invite you all to Bailwood 9. If you’re looking for a great weekend of biking fun then you should snap up your tickets now. All kicking off on Friday night with great live bands, on-site catering and a real bar you can kick back and relax. The whole theme of the weekend is Zombie with a fancy dress competition on the Saturday evening. Book your tickets right here! As always, there will be a huge selection of trade stands and jumbles exhibiting at the Southern Classic so hopefully you’ll be able to find exactly what you’ve been looking for. Also on display will be a wide range of classic machines in different models, makes and across a range of eras too. Southern Classic always promises a great day with a friendly atmosphere and plenty on offer for the whole family. 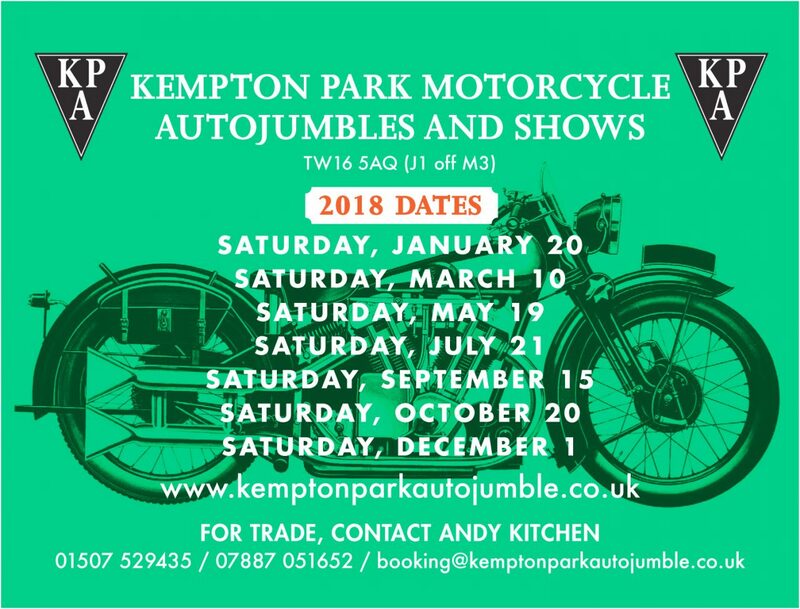 The event is supported by the Ace Cafe London and the London Motorcycle Museum. Ready for the ultimate challenge? There’s 25 check points across 6 counties to be found by motorbike. All you need to do is pick a set number of clues or miles to ride. All monies raised is donated to the Thames Valley Air Ambulance. The event finishes at Mason Arms Brize Norton for a BBQ. It costs just £20 to enter. Make the most of the May sunshine and head down to take part in Show Us Your Ride 2018. The day kicks off at 12 running all the way through until late with live music, raffles and plenty of trophies to be won. Tickets cost just £5, but be warned there is limited parking space. Looking for a day of adrenaline filled fun? 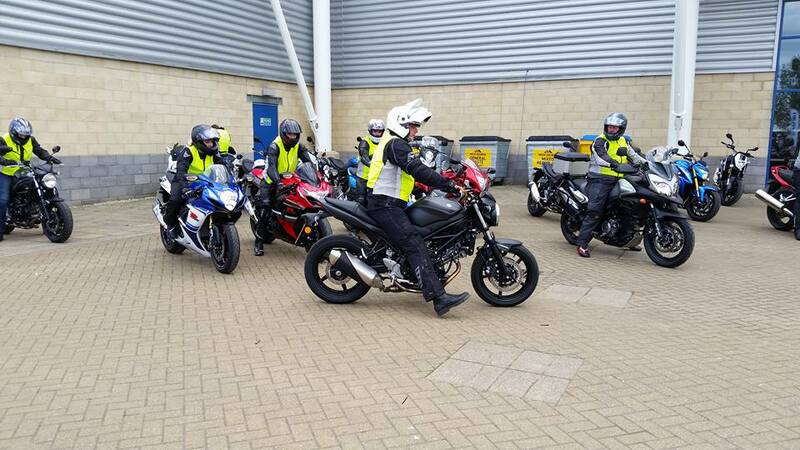 Book yourself onto the Moto Gymkhana experience day. You’ll have 4 hours of testing your biking skills by learn a course full of obstacles that you will have to complete against the clock. All you need to do is book your place and turn up with your bike and full gear. You’ll be given a full briefing on the day so you know exactly what to expect. Find out more about Moto Gymkhana now! 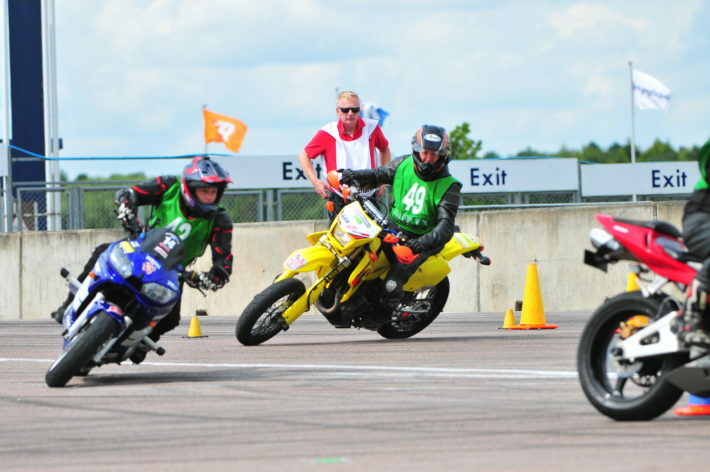 The MCN Festival of Motorcycling is heading back to the East of England showground this May for the ultimate weekend of bikes, bikes and more bikes! Hopefully the weather will be kind again this year so you can enjoy a jam-packed weekend of entertainment. From bike testing, trade stalls and more to keep you busy during the day, the evening promises great bands, live music and plenty of booze! 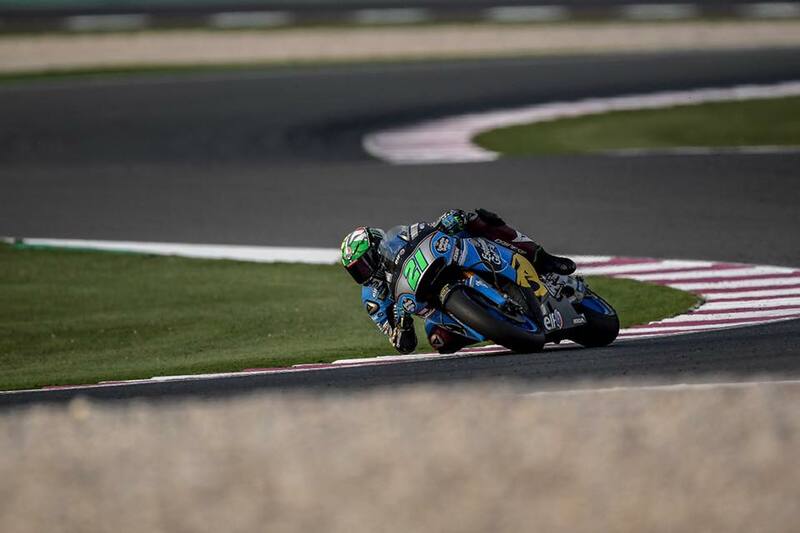 The MotoGP action is non-stop this month, the bikes head to France for the fifth round of the championship. View all the live action right here. 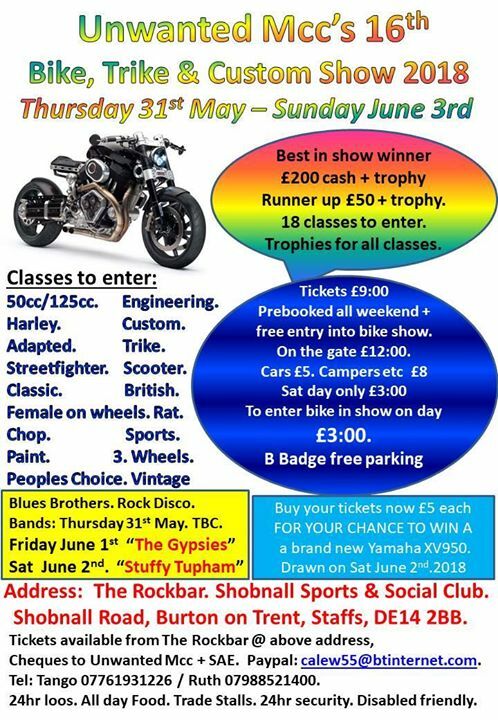 Rugby Bikefest is back by popular demand this month! 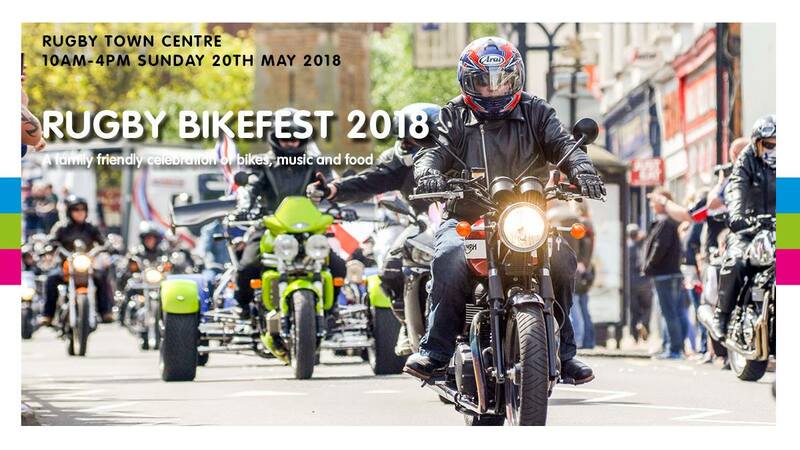 The one day event takes place in Rugby town centre with plenty of bikes on display, live music and entertainment suitable for the whole family. If you fancy getting involved in all the fun then you register to take part in the ride in as well. 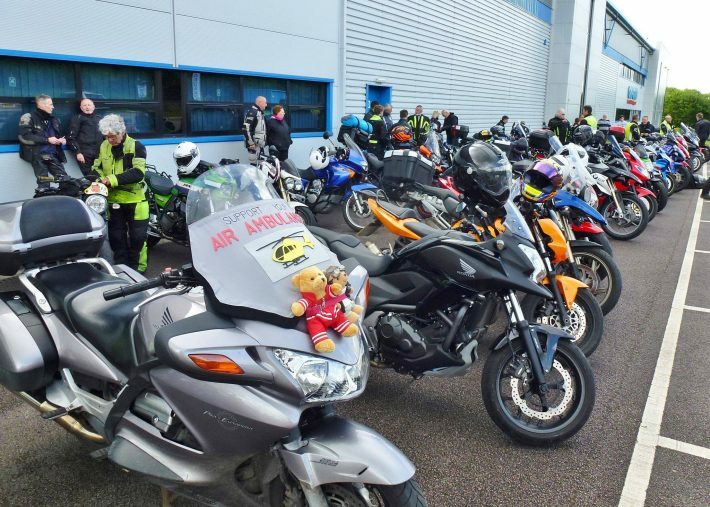 Raising vital funds for the Essex and Herts Air Ambulance, all are invited to take part in the North Weald Motorcycle Run and Family Fun Day. The run starts in Welwyn Garden City (Hertfordshire) and heads down to North Weald Airbase in Essex. The run is suitable for all riders, including L plates. Once you arrive at the North Weald Airbase there will be family friendly entertainment on all afternoon with live bands, hot food and much more to take in. It costs just £10 to sign up for the run, with all monies being donated straight back to the Air Ambulance. Find out more details about the event and book your place now! Fancy a festival with a twist? 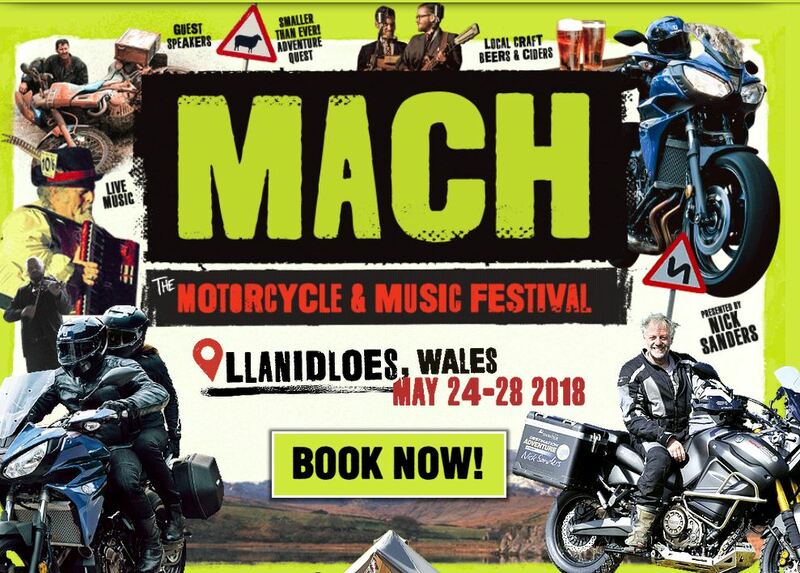 Then book yourself tickets to the MACH Motorcycle and Music Festival. It takes place over 4 days in the beautiful Welsh mountains. You’ll be able to pitch up a tent, or secure a glamping pod, and take in the gorgeous views of the Wales, as well on go on daily ride outs exploring new places. Of an evening there’s plenty of onsite entertainment with live bands and lots of home cooked food too. Over the weekend you’ll be able to watch celebrity adventure guest speakers, mass ride outs and much more. Bike Shed London is back again at Tobacco dock for a whole weekend of biking fun. If you’re a lover of custom motorcycles then it’s well worth a trip down to over the long weekend. There’s plenty of live music, pop-up street food stalls and even an in-house barbers and tattoo artists. This isn’t your traditional bike exhibition – this is your one-stop bike club. Are you a Trike owner? 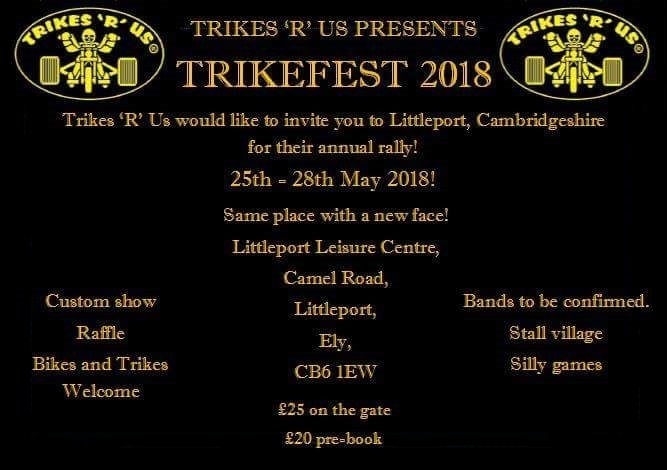 If so you don’t want to miss out on the epic Trikefest this May. The festival takes place over 4 days meaning you can really let your hair down and enjoy yourself. Entertainment for the weekend includes live music, custom show, games, trophy presentation and a fancy dress disco! You’ll need to make sure you secure your tickets soon as there’s only 350 places available! You can find out everything else you need to know about Trikefest here. 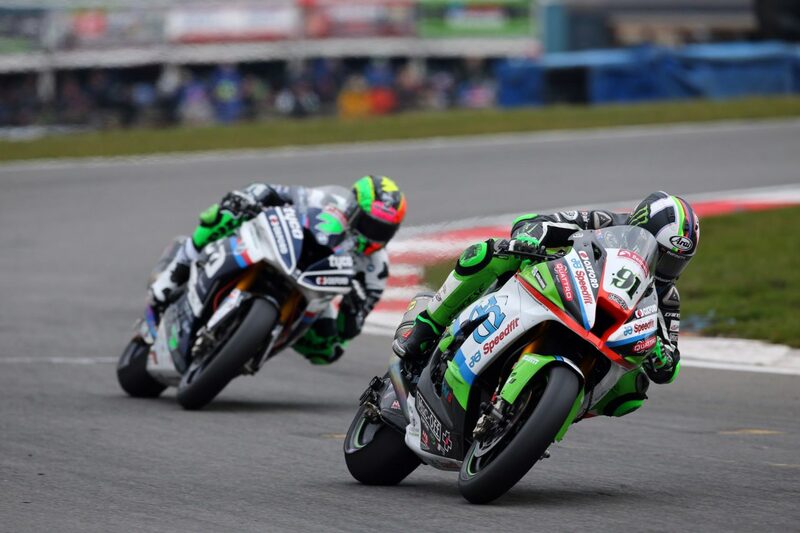 The World Superbikes head to the UK for the 6th round of the Championship this month! All the action is set to take place at Donington Park, and tickets are on sale now. If you want to see the likes of Jonathon Rea, Chaz Davies and more take on the UK round then it’s time to book your tickets! 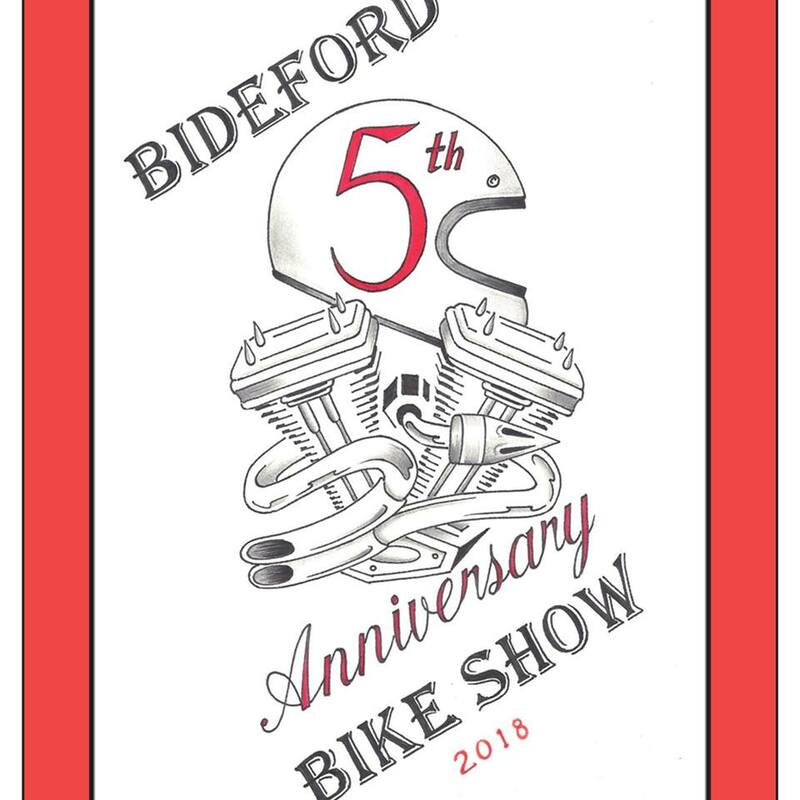 If you live in the Devon area or fancy a road trip then you’ll want to check out the Bideford Bike Show this May. The bike show only launched back in 2014 but it’s back again by popular demand after hundreds of bikers from across the UK flooded North Devon for a great day of biking. It costs just £3 per bike/trike and you’ll get a full day of entertainment including live bands, prize raffle and best bike award ceremony. 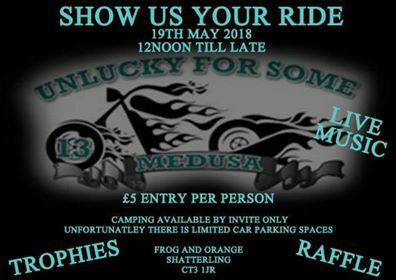 All monies raised from the event are donated to the following charities; North Devon Cancer and Wellbeing Centre Appeal, Chemo Hero, Bideford College Racing and British Biker Relief Foundation. Visit the official website to find out more information. 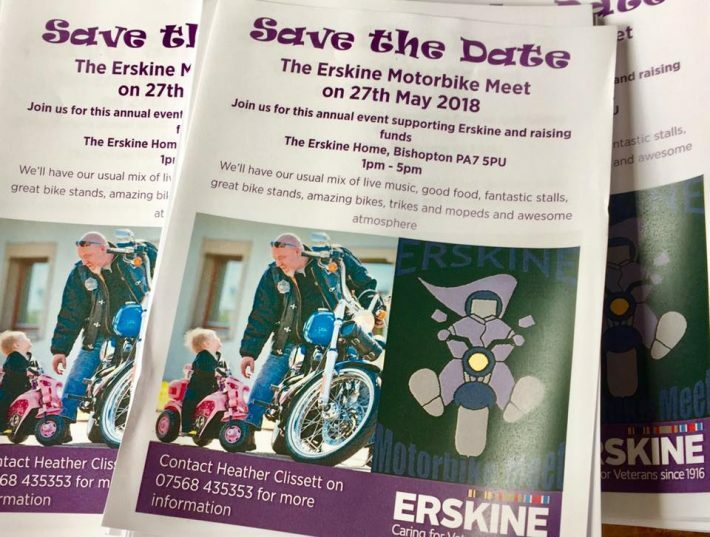 In its 12th year, all are welcome to join the Erskine Motorbike Meet for a great day of family friendly fun. The afternoon promises great entertainment for kids, live music, bike stands and lots of brilliant motorbikes on display. All monies raised is donated to the Erskine veterans’ charity. Just £5 per bike and kids go free. It’s the one we’ve all been waiting for, the Isle of Man TT is back! All the road racing fun starts on Saturday 26th May for two whole weeks of mayhem. Can’t get over to the Rock? You can catch all the daily round ups on ITV4 and stream the races live straight to your phone! All are invited to take part in the iconic Bank Holiday motorcycle run from Ace Cafe down to Margate. This year celebrates the 11th anniversary of the run and it’s a great day for all. Once you’ve had a hearty breakfast at the Ace Cafe you’ll take a lovely ride down to Margate Seafront which is dedicated to all things motorcycling for the whole day. Live entertainment kicks off from midday, there’s plenty of fun for the whole family. The ride out is free to take part in, so why not? Find out more information, including route details, right here. It’s time for the 16th annual Unwanted MCC’s Bike, Trike and Custom Show – you won’t be disappointed. Four days of fun means there’s lots of live music, rock n roll disco, acoustic sets and much more. You’ll be able to pitch up and camp with proper washing facilities and plenty of food stalls available. Oh, and there’s plenty of awards to be won, 18 categories in fact as well if you fancy entering your bike. The big raffle prize this year is a Yamaha XV950, tickets cost just £5 and all monies raised will be donated to NABD & Midlands Air Ambulance. Weekend tickets start from £9 (if pre-ordered). What events are you attending this May? Leave them in the comments below!